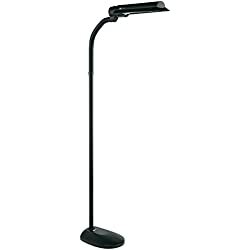 An Ott Lite Craft Lamp will make all the difference in your crafting efforts. 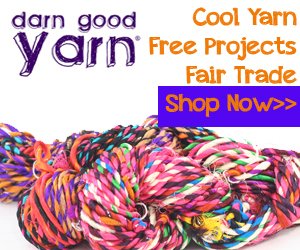 Whether you enjoy coloring or needlepoint, cross stitch or knitting and crochet, you must have good light. And the difference between an Ott Lite and any other type of lighting is the shear power of it. 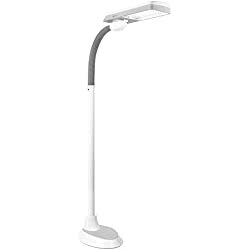 The Ott Lite is the most accurate lighting which is the equivalent of sunlight. 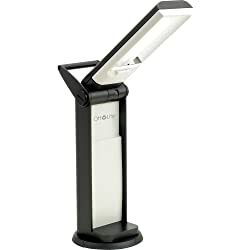 It is pure and bright and clean and the color you see when you are crafting using an Ott lite is also pure and showing you depths you just can’t get with any other kind of light. I got my first Ott Lite when I had a change in vision and just couldn’t see my cross stitch very well any longer. The Ott lite craft lamp made all the difference, I could even do my cross stitch patterns on linen Aida cloth. Amazing! 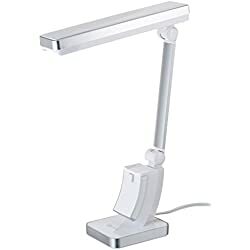 I got an Ottlite craft plus floor lamp and keep it next to my lazy boy chair which is where I like to cross stitch, crochet and knit. 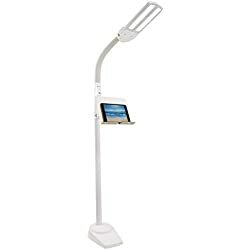 My floor lamp included the Ott lite magnifier so I could really see the work I was doing. 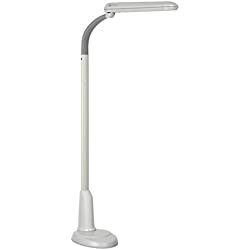 But when I want to work a jigsaw puzzle the Ott lite floor lamps didn’t work any more due to inconvenience. I couldn’t get it stationed right over the puzzle. 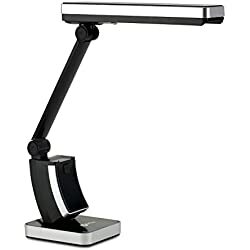 So the next Ott lite I got for myself was the Ottlite natural daylight desk lamp. It set right on the table next to my puzzle and the arm of the lamp hovered over the puzzle. It was wonderful! So you can see there are many reasons to use an Ott Lite craft lamp. I hope you enjoy your crafting well enough to take these suggestions seriously and step up your crafting effort. This is a crazy great Ottlite craft plus floor lamp. 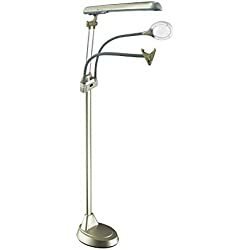 All in one, a floor lamp, tablew lamp and a clamp lamp. 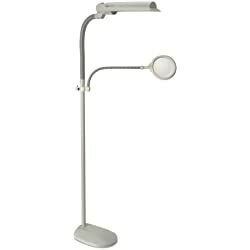 So you can make this lamp do what ever it is you need it to do, no matter if you are in a comfy chair or a desk or table. 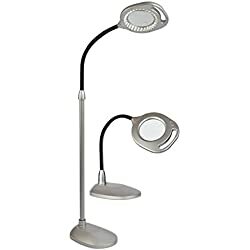 It gives you the Sunlight Illumination, perfect for detailed work and color accuracy. 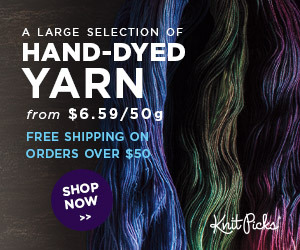 Excellent tool for artists, and yes that means coloring too, painters, woodworkers, and jewelry making, cross stitching, yarn work, basically anything you want to see well. Look below the photo to read all the wonderful reviews people have written.